Hey,yeah i am very excited to be in Prague again since it's one of my favorite countries!What im looking forward to the most is to meet my friends and to finally get on stage again. Are you competing? What yoyo will you be throwing on stage? I will be competing and use the YoYoFactory Spacecowboy. What are you currently up to back in your country? Well,I usually just play yoyo all day,and sometimes i skateboard a little bit. Who is your inspirarion in yoyoing? 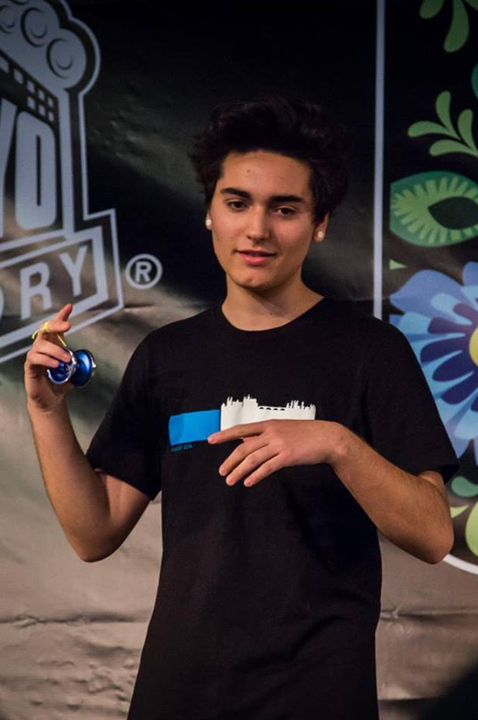 My inspiration in yoyoing i would say is mostly Yuuki Spencer. What is your prediction for 1A at Czech nationals this year? I would say Matous Tomes or Petr Kavka for the first place. The best movie you have seen recently? How is the yoyo scene in Greece? There aren't many other yoyo players anymore,we are probably like 10 people. Is your sister single and is she coming? Hahah,yeah she is single but it's not sure that she is coming.